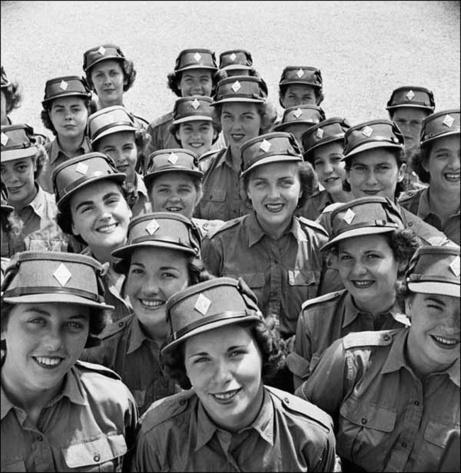 Fifty thousand Canadian women joined the armed forces in wartime. But even while battling the Third Reich, they still wanted to look their best. Since they were forced to wear the same hat every day for years, style was crucial. So which branch of the armed forces had the most flattering headgear? You be the judge. 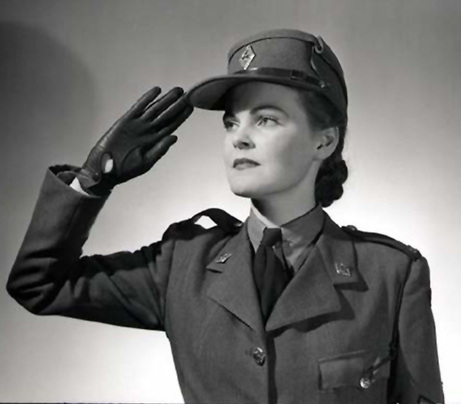 When war was declared in September 1939, women weren’t allowed to join the armed forces. The concept of women as warriors did not sit well with the male members of Parliament. Women lobbied hard to be allowed to join the fight, without making any headway. 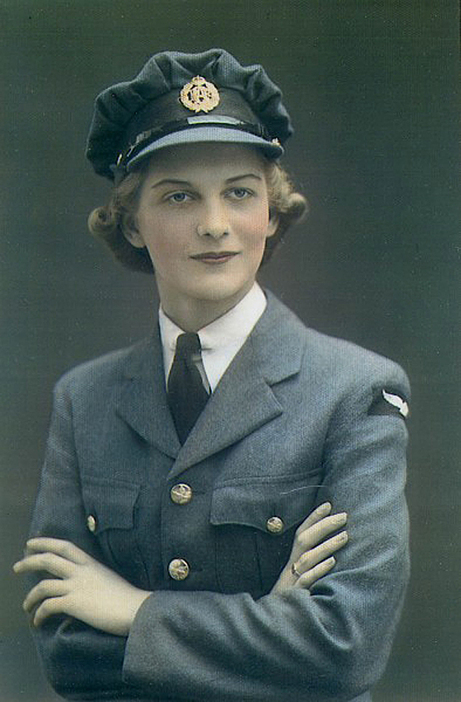 But after the British Commonwealth Air Training Plan came into effect, and air bases sprang up all over the country, the British government planned to send its own Women’s Auxiliary Air Force to Canada. Our Parliament concluded, somewhat ungraciously, that if there had to be women on air bases, they might as well be Canadian. 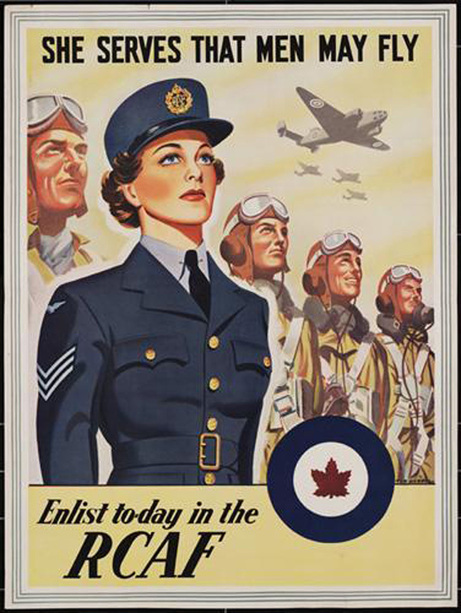 An act was passed on July 2, 1941 allowing women to join the Royal Canadian Air Force. This new branch called the Women’s Division would ultimately enlist 17,000 women, who would "Free a Man to Fly!" Initially, the WDs, as they were called, modelled their uniforms after their British sisters. 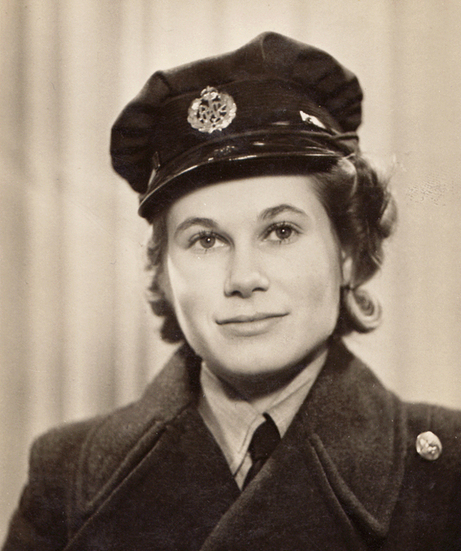 Here’s a photograph of a British WAAF named Lorna Howard in 1943 wearing her standard issue hat. It was puffy, with fabric gathered on top, a shiny peak in the front, and the gold Royal Air Force pin front and centre. (What to do with your hair must have been another challenge, especially since it wasn't allowed to touch your collar. I imagine the girls had “hat head” pretty much all the time). 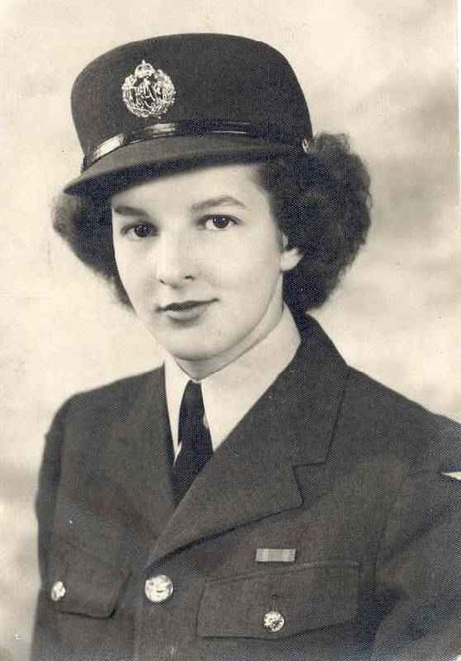 The first RCAF Women’s Division uniforms looked almost identical to the WAAF uniforms. But note the bulkiness on the crown of her head. I can’t help wondering why either country used so much fabric, when clothing was rationed and yard goods were in such short supply. 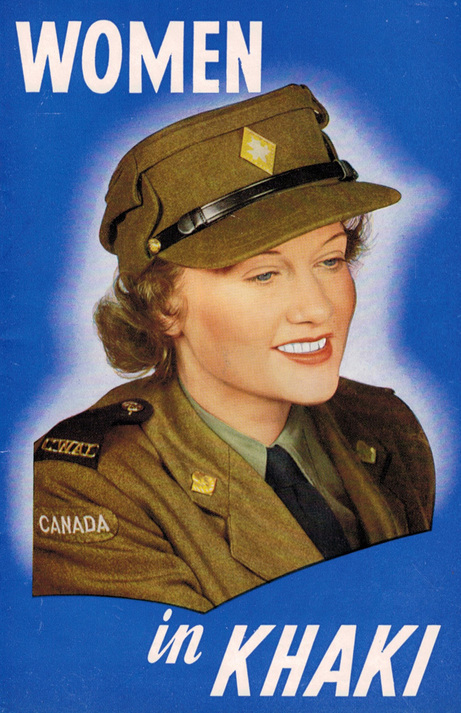 In spite of their admiration for the British WAAFs, Canadian women were NOT happy with the hat. As one girl said, it looked like you could carry a bag of potatoes under it. After a barrage of complaints, the Women’s Division came up with a new hat, much more streamlined. Now, wouldn’t you rather wear something like this? The air force was considered the glamorous branch, for both men and women, and here you can see why. Louise Soles is wearing the smart new hat. After women were allowed into the armed forces, especially as the manpower shortage grew, they were actively recruited. The next branch of the armed forces that allowed women to join, just one month after the air force, in August 1941, was the army. 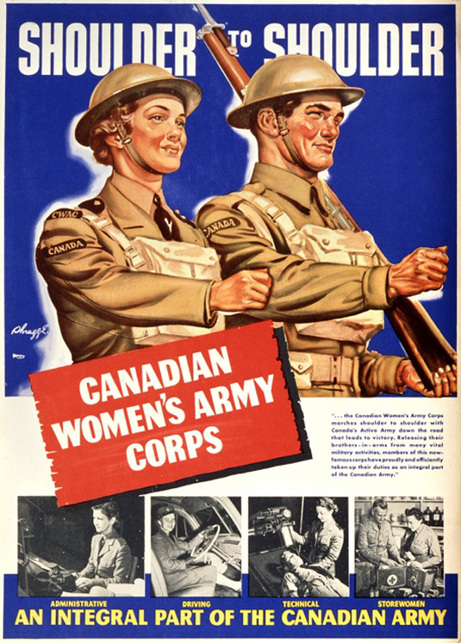 The Canadian Women's Army Corps would “Free A Man to Fight!” Like their male army counterparts, the CWACs (pronounced "Quacks") wore khaki. You can see the hat here, and a more flattering photograph of the same hat at the top of this post. Here are a bunch of happy CWACS from Newfoundland and Labrador taking their initial training in the summer of 1943. Photo Credit: Department of National Defence. The army corps was the largest of the three women's branches, enlisting 22,000 women by the end of the war. They even got to wear helmets. A year later, in July 1942, the navy finally decided to let women join their ranks. 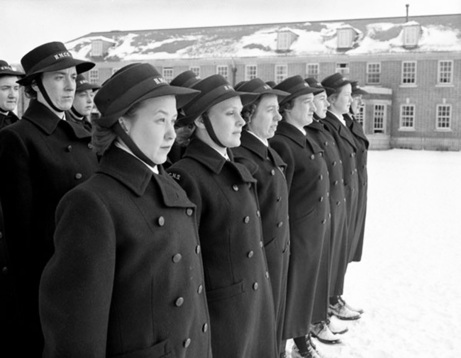 The Women’s Royal Canadian Naval Service (called “Wrens” after their British counterparts) numbered 7,000 by the war’s end. They would "Free a Man for the Fleet!" They had a couple of nifty hats. They wore navy blue uniforms, of course, and a bonnet with a chin strap. This group is parading on the drill square during initial training at H. M. C. S. Conestoga (His Majesty’s Canadian Ship) in Galt, Ontario in December 1943. To read more, click: Women in Uniform. 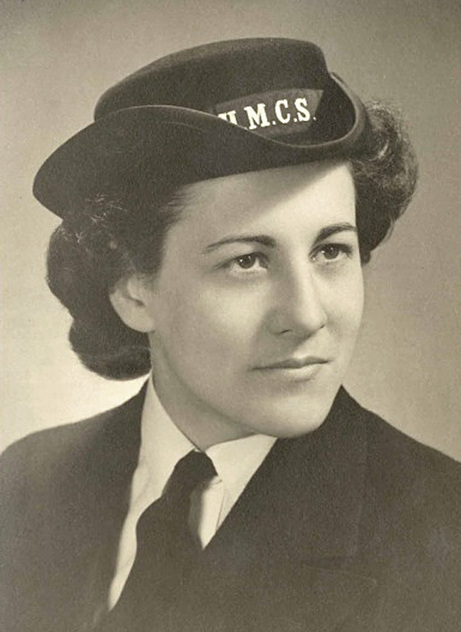 Here’s a 1944 photo of Marie Duchesnay of Quebec City in her naval uniform, wearing the hat called a Tricorne. Photo Credit: The Memory Project. The Wrens had another everyday version, too: tams with chin straps. 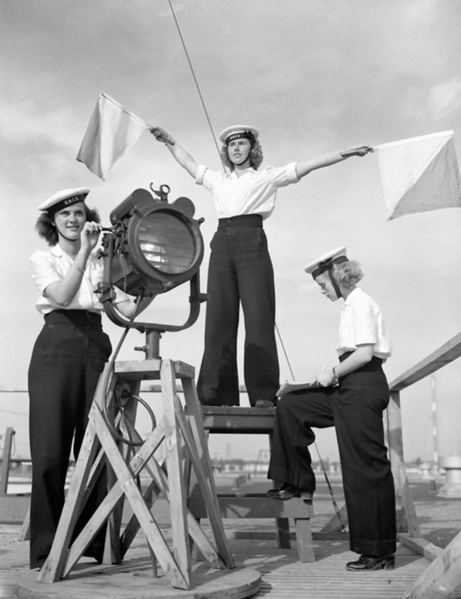 These three girls were photographed in an obvious promotional shot, at the signal training school H.M.C.S. St. Hyacinthe, Quebec in September 1944. From left to right: Marion Roberts of British Columbia; Vicki Wickham (now LaPrairie) of Montreal; and Marion Elizabeth Smith (now Mackinnon) of Ottawa. But there was another contingent of women in uniform. Not surprisingly, nurses had no trouble getting into the armed forces. They performed what was considered to be a natural role for women: caring for others. They even served with the Canadian Army in the First World War. About 4,500 of them served with all three branches of the armed forces in World War Two, and they had the most demanding job of all. These were the women who tended the wounded, some of whom were terribly injured. 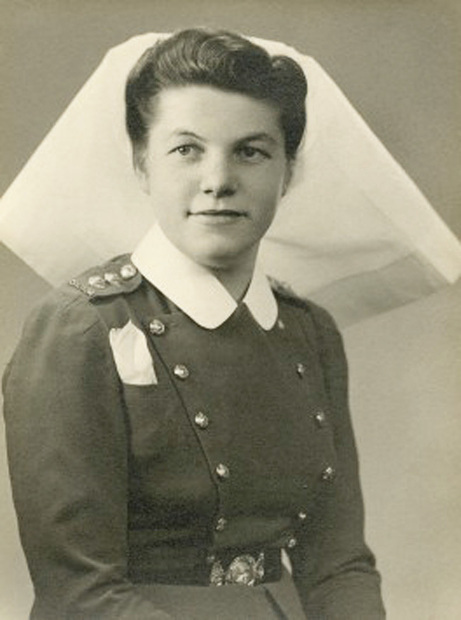 Here is Margaret Bartlett Guildford, who began working in a burn unit, and if that wasn’t horrendous enough, ended the war by nursing concentration camp victims. Read more about her by clicking: The Memory Project. Nurses were also the first women to set foot on the continent after D-Day on June 6, 1944 while the war was still in full swing. They were needed to treat their patients close to the battle lines. 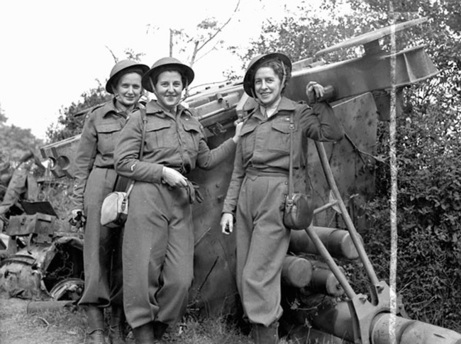 Here’s a photo of three of the very first women to land in Europe, members of the Royal Canadian Army Medical Corps. They are wearing what, surprisingly, many girls considered the most attractive headgear of all – helmets. According to some women, the metal formed a sort of halo and shed a reflected light, which cast their faces in a flattering glow . . . much nicer than the old pie crust. 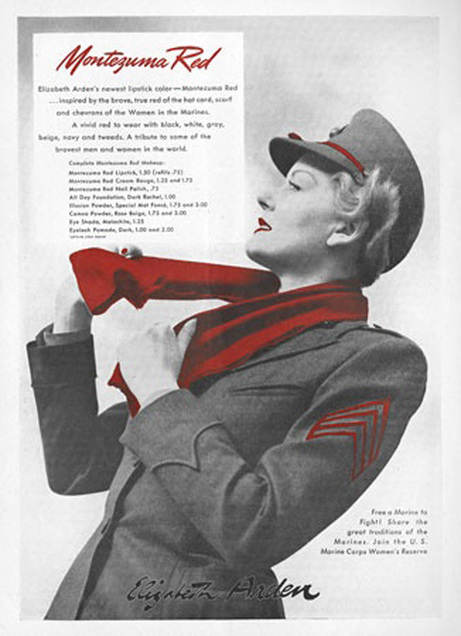 As a point of interest, one of the strangest decisions involving hats came from the U.S. Marines, who dictated in 1943 that a woman serving in the Marine Corps Women’s Reserve must wear lipstick that precisely matched the colour of the trim on her hat, scarf and chevrons. So Elizabeth Arden created a new shade called “Montezuma Red” specifically for this purpose! The Star Weekly was a Canadian newsmagazine published by the Toronto Star. 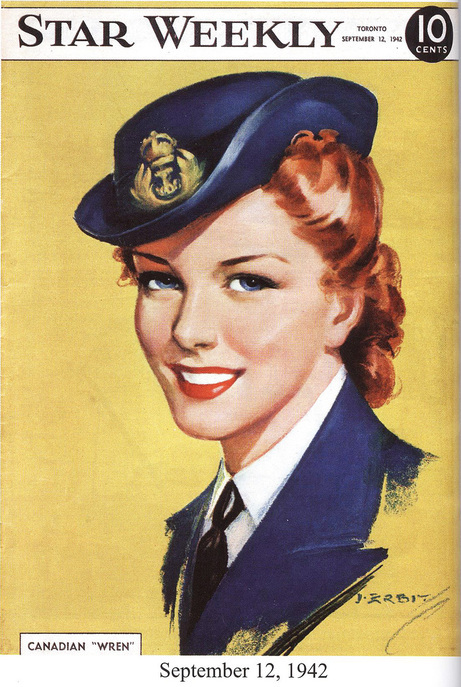 During the Second World War, a beautiful colour illustration appeared on the cover each week with a wartime theme. This image of a Canadian Wren appeared on September 12, 1942. To see my complete collection of Star Weekly covers, and I am adding a new one almost every week, click: Star Weekly At War. All blog posts are indexed by subject and title on the main blog page. Scroll to the top of this page to see the list, and enter your email address to subscribe to Wartime Wednesdays. If you enjoyed this post, please share on Facebook, Twitter, or email. Click Elinor Florence to return to my home page. I have a fascinating one-hour powerpoint presentation describing wartime women in uniform, and the little-known practice of aerial photographic interpretation. And I come dressed in my wartime vintage duds! To contact me about speaking at your organization, click: Contact. ​ Calling All Book Clubs! 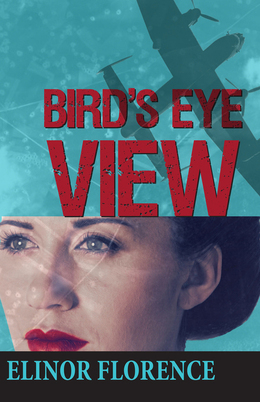 Book Clubs across Canada have discussed Bird's Eye View. 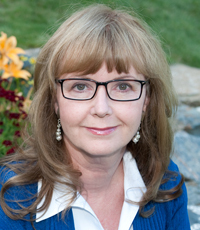 I would love to visit your club, or answer your questions via email, telephone, or Skype. For a list of discussion questions, click: Book Club Questions.